In our daily life we are not aware that we may, in fact, live in a hologram and our existence is a holographic projection, nothing more. All what we believe is real, our whole physical world, is – in fact – an illusion being proved by the holographic universe, one of the most remarkable theories of 20th century. 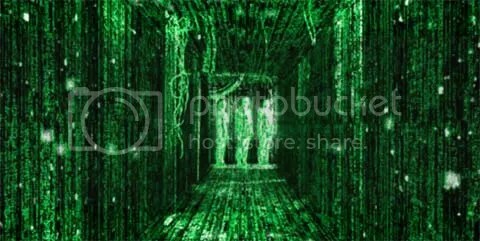 Energy fields are decoded by our brains into a 3D picture, to give the illusion of a physical world. Despite its apparent materiality, the universe is a kind of 3-D projection and is ultimately no more real than a hologram. And this is an essence of Bohm and Pribram’s theories which enable us to look at the world – in a new way. The idea is astonishing and even disturbing but was pioneered quite a long time ago by two of the world’s most prominent scientists: American-born British physicist David Bohm (1917 – 1992), widely considered one of the best quantum physicists of all time and protégé of Albert Einstein and the quantum physicist and a neurophysiologist at Stanford University, Austrian-born, Karl Pribram, who, in fact predicted the holographic nature of perception and memory. They were the main supporters of this great theory; they worked independently and from completely different directions, but they reached the same conclusions. Both scientists were dissatisfied with standard theories that could not explain diverse phenomena encountered in quantum physics and puzzles related to neurophysiology of the brain. A remarkable experiment was conducted in 1982, by a research team led by physicist Alain Aspect at the Institute of Theoretical And Applied Optics, in Paris. 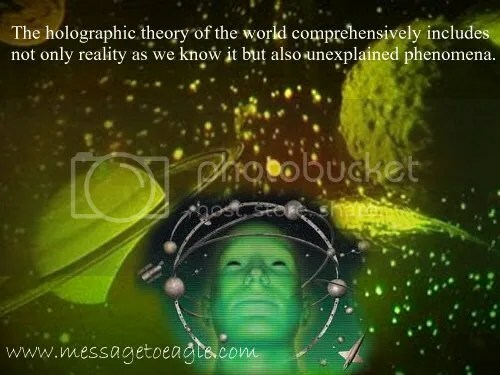 The experiment demonstrated that the web of subatomic particles that composes our physical universe – the so-called “fabric of reality itself” – possesses what appears to be an undeniable “holographic” property. The holographic theory of the world comprehensively includes not only reality as we know it but also unexplained phenomena. It’s capable to explain paranormal and out-of-body experiences, telepathy, “lucid” dreaming and much more. The holographic model has received much scientific and experimental support. Aspect’s experimental finding, is a compelling piece of evidence that the universe is a hologram and has never been – real. His experiment is one of the most important experiments of the 20th century and will probably change the face of science, forever. Aspect, along with his colleagues Jean Dalibard and Gerard Roger discovered that under certain conditions subatomic particles such as electrons are able to instantaneously communicate with each other regardless of the distance separating them. It doesn’t matter whether they are 10 feet or 10 billion miles apart. Somehow each particle always seems to know what the other is doing. The problem with this feat is that it violates Einstein’s long-held belief that no communication can travel faster than the speed of light. Since traveling faster than the speed of light is tantamount to breaking the time barrier, this daunting prospect has caused some physicists to try to come up with elaborate ways to explain away Aspect’s findings. 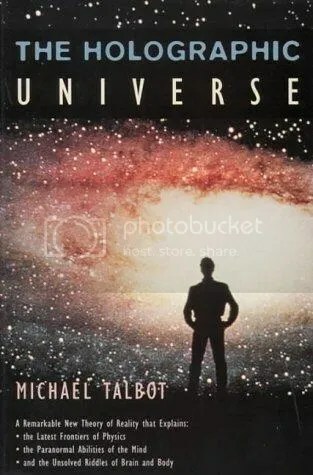 However, it has inspired others to offer even more radical explanations, all based on assumption that objective reality does not exist, that despite its apparent solidity the universe is at heart a phantasm, a gigantic and wonderfully detailed hologram. Karl Pribram realized that the objective world – does not exist, at least not in the way as we know it or as we see it. 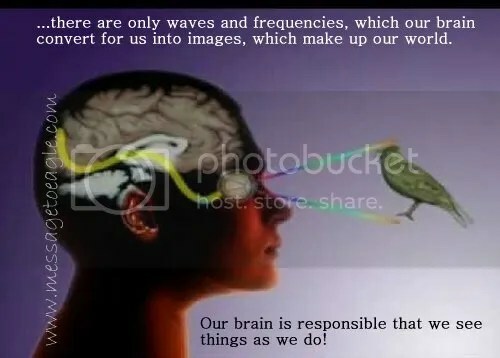 “Out there”, there are only waves and frequencies, which our brain convert for us into images, which make up our world. Our brain is responsible that we see things as we do! Pribram asserted that our brain is able to construct objects and David Bohm even concluded that “we construct space and time”. Two great scientists had independent but common conclusions and it’s made their theory of a holographic universe so great. But even Bohm did not believe any theory to be correct in an absolute sense, including… his own. We have to believe, precisely as David Bohm did, that at some point in the future, sophisticated techniques will be developed which will allow his own ideas and even others, to be tested and proved correct. “The quantum is the greatest mystery we’ve got. Never in my life was I more up a tree than today,” John Wheeler. ‘It is impossible, absolutely impossible to explain it in any classical way’. This is a very complex theory, and in order to fully do it justice it would require at least a fair sized book. However, in order to grasp the basic principles involved it will suffice to study just three key experiments. The three experiments are generally known as: the ‘Double Slit Experiment’, Schrödinger’s ‘Cat-in-the-Box Experiment’ and the ‘EPR Paradox’. 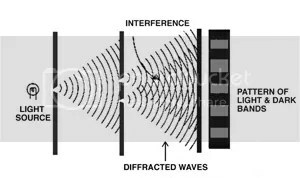 When the experiment is set up as shown in the above diagram, with both slits open, the resulting interference pattern clearly shows that light behaves as a wave. Now if that was all there was to it we could all fold up our tents and go home happy in the knowledge that light travels as a wave; but there is much more to it than that. This is where the word ‘weird’ can become over-used. If we wait until enough individual photons have passed through to build up a pattern – and this takes millions of photons – we do not get two clusters opposite the two holes, we get the same interference pattern! It is as if each individual photon ‘knows’ that both holes are open and gives that result. Each individual photon, passing through the set up will place itself on the wall in such a position that when enough have passed through they have collectively built up an interference pattern, when there cannot possibly be any interference! We could try peeking, to see which hole the photon goes through, and to see if it goes through both holes at once, or if half a photon goes through each hole. When the experiment is carried out, and detectors are placed at the holes to record the passage of electrons through each of the holes, the result is even more bizarre. Imagine an arrangement that records which hole a photon goes through but lets it pass on its way to the detector screen. Now the photons behave like normal, self respecting everyday particles. We always see a photon at one hole or the other, never both at once, and now the pattern that builds up on the detector screen is exactly equivalent to the pattern for bullets, with no trace of interference. As if that was not bad enough, it gets even worse! We do not need place detectors at both holes, we can get the same result by watching just one hole. If a photon passes through a hole that does not have a detector, it not only knows if the other hole is open or not, it knows if the other hole is being observed! If there is no detector at the other hole as well as the one it is passing through, it will produce an interference pattern, otherwise it will act as a particle. When we are watching the holes we can’t catch out the photon going through both at once, it will only go through one. When we are not watching it will go through both at the same time! There is no clearer example of the interaction of the observer with the experiment. When we try to look at the spread-out photon wave, it collapses into a definite particle, but when we are not looking it keeps its options open. What the double slit experiment demonstrates is this: Each photon starts out as a single photon – a particle – and arrives at the detector as a particle, but appears to have gone through both holes at once, interfered with itself, and worked out just where to place itself on the detector to make its own small contribution to the overall interference pattern. This behaviour raises a number of significant problems! Does the photon go through both holes at the same time? How does a photon go through both holes at the same time? How does it know where to place itself on the detector to form part of the overall pattern? Why don’t all the photons follow the same path and end up in the same place? One possible explanation for quantum weirdness is a theory concerning the nature of the wave that is passing through the experiment. The key concept of the theory, which forms a central part of the Copenhagen Interpretation, is known as the ‘collapse of the wave function’. The theory seeks to explain how an entity such as a photon or an electron, could ‘travel as a wave but arrive as a particle’. According to the theory, what is passing through the experiment is not a material wave at all, but is a ‘probability wave’. In other words, the particle does not have a definite location, but has a probability of being here or there, or somewhere else entirely. Some locations will be more probable than others, such as the light areas in the interference pattern for example, and some will be less probable, such as in the dark areas. 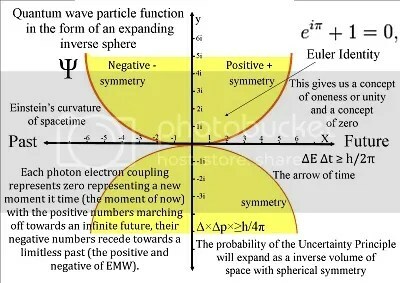 In this theory, an electron that is not being observed does not exist as a particle at all, but has a wave-like property covering the areas of probability where it could be found. Once the electron is observed, the wave function collapses and the electron becomes a particle. This theory rather neatly explains the behaviour of the particles in the double slit experiment. When we are not looking at the particle, the probability wave, of even a single particle, is spread out and will pass through both slits at the same time and arrive at the detector as a wave showing an interference pattern. When we observe the electron by placing detectors at the slits, it is forced into revealing its location which causes the probability wave to collapse into a particle. If the theory is correct, its implications are staggering. What it suggests is that nothing is real until it has been observed! Nothing is real until it has been observed! This clearly needs thinking about. Are we really saying that in the ‘real’ world – outside of the laboratory – that until a thing has been observed it doesn’t exist? This is precisely what the Copenhagen Interpretation is telling us about reality. This has caused some very well respected cosmologists (Stephen Hawking for one) to worry that this implies that there must actually be something ‘outside’ the universe to look at the universe as a whole and collapse its overall wave function. John Wheeler puts forward an argument that it is only the presence of conscious observers, in the form of ourselves, that has collapsed the wave function and made the universe exist. If we take this to be true, then the universe only exists because we are looking at it. As this is heading into very deep water I think we will have to leave it there and move on to the next experiment. According to the Copenhagen Interpretation, the probability wave of an electron requires the act of observation by a conscious observer to collapse it into a definite particle, and thus have a definite location. We can imagine a closed box containing just a single electron. Now until someone looks in the box, the probability wave associated with the electron will fill the box uniformly, thus giving an equal probability of finding the electron anywhere inside the box. If a partition is introduced into the middle of the box that divides it into two equal boxes, still without anyone looking inside, then common sense tells us that the electron must be in one side of the box or the other. But this is not the case according to the Copenhagen Interpretation; that says that the probability wave is still evenly distributed across both half-boxes. This means that there is still a 50:50 chance of finding the electron in either side of the box. When somebody looks into the box the wave will then collapse and the electron will be noticed in one half of the box or the other, but it will only at the moment of observation ‘decide’ which half it will be in. At the same time the probability wave in the other half of the box vanishes. If the box is then closed up again, and the electron no longer observed, its probability wave will again spread out to fill the half box, but cannot spread back into the other half of the box that was empty. 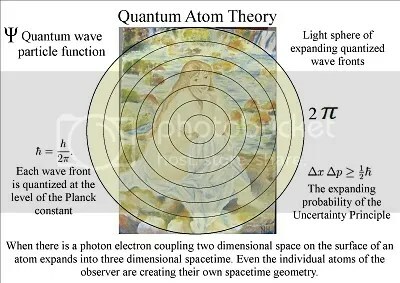 The way that a quantum wave moves is described by Erwin Schrödinger’s wave equation and describes the probability for finding a photon, or electron, at a particular place. 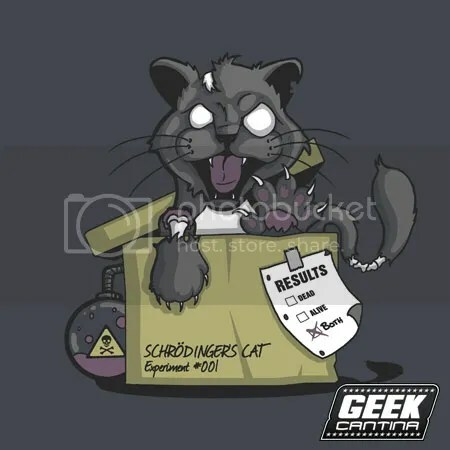 Schrödinger did not however, go along with the ‘collapse of the wave function’ theory, he thought it was a nonsense, and designed ‘thought experiments’ to prove his point. In an attempt to demonstrate the foolishness – as he saw it – of quantum theory, Schrödinger devised the cat-in-a-box thought experiment. In Schrödinger ‘s original thought experiment he used radioactive decay because that also obeys the rules of probability. We however, shall use our box with the partition and electron again, as we are now familiar with it. Imagine we have our box with the partition in place, and the electron’s probability wave evenly spread between both halves of the box. We have now added a device that will, at a given time, automatically open up one half of the box to the room. There is a 50:50 chance that when opened the box will contain the electron that is now free to enter the room. The room is sealed and has no windows that would allow any outside observations to be made. Inside the sealed room there is a cat, a container of poisonous gas, and an electron detector. The experiment is so designed that if the electron detector detects an electron it will release the poisonous gas into the room, which would prove very unfortunate for the poor cat. If, on the other hand, that half of the box does not contain the electron, the poisonous gas will not be released into the room and our cat, henceforth known as Lucky, will continue to enjoy good health, providing it keeps away from busy roads. Taking a common sense view of the situation, we would say that when the experiment has run its course, and an observer enters the room, they will find the cat either dead or alive. But we already know enough about quantum theory to realise that common sense doesn’t apply here, and instead we have to turn to the Copenhagen Interpretation for an explanation. According to the Copenhagen Interpretation, when the lid of one half of the box is opened, it is not an electron, or not as the case may be, that is released into the room, but the probability wave of the electron as it has not yet been observed. This raises the question of whether or not the cat can be regarded as a conscious observer. If it can be then where do we draw the line? Would a fly or an ant count? How about a bacterium? As this is again getting into rather deep and murky water, we will skip over this problem and continue with our experiment, otherwise we run the risk of becoming seriously side-tracked. So the probability wave spreads into the room, not an electron (or no electron). The electron detector is itself composed of microscopic entities of the quantum world (atoms, particles and so on) and the interaction of the electron with it would take place at this level, so the detector is also subject to the quantum rules of probability. Taking this view, the wave function of the whole system will not collapse until a conscious observer enters the room. 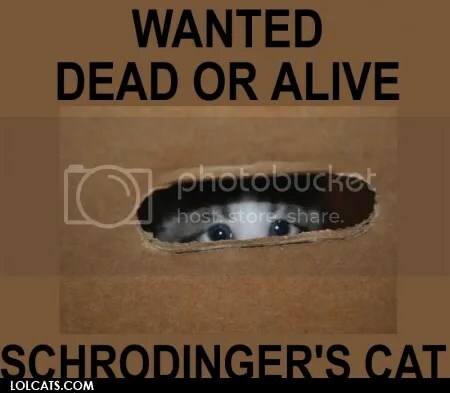 At that moment the electron ‘decides’ whether it is inside the box or in the room, the detector ‘decides’ whether it has detected an electron or not, and the cat ‘decides’ whether it is dead or alive. Until that moment, according to the Copenhagen Interpretation, the cat is not either dead or alive, it describes the situation as a ‘superposition of states’. Only the act of observation will cause it to become one or the other. Schrödinger described the situation as ‘having in it the living and the dead cat mixed or smeared out in equal parts.’ The Copenhagen Interpretation does not allow for the room to actually contain a cat that is both dead and alive at the same time, or a cat that is neither dead nor alive, suspended in limbo. But contains either a dead cat or a live cat, until someone looks, and it is then that the actual reality of the situation is determined. Cat lovers please note. This experiment has never been carried out, and never will be. This is not only because it would be a very cruel thing to do, but because it wouldn’t prove anything. An observer upon entering the room would find either a dead cat or a living one, but could not observe what processes preceded this event. Any previous observation would of course defeat the object of the experiment. The problems highlighted by the cat-in-a-box experiment raise some very deep questions. What for example are the requirements needed to qualify as a ‘conscious observer’? Do the probability waves of particles spread out again when not observed and particles somehow become less ‘real’, as described by the Copenhagen Interpretation? Does the universe exist only because we are here to observe it? Could a cat really be in a ‘superposition of states’, either dead or alive until the moment of observation? This goes entirely against all our common sense experience of life, we would naturally conclude upon finding the cat alive that it had ‘obviously’ been alive all the time. Quantum theory is telling us that we could be very wrong in our thinking regarding what reality really is. Quantum theory has yet another surprise in store for us, and this time it’s not simply another bizarre phenomenon that challenges our common sense. This time it contradicts one of the central principles of Einstein’s theory of relativity, that nothing can travel faster than the speed of light. As you can imagine, Einstein was not amused. The experiment is so named because it was a thought experiment devised by Einstein, Boris Podolsky and Nathan Rosen. As with Schrödinger’s cat-in-the-box experiment, its purpose was to expose the ‘foolishness’ of the Copenhagen Interpretation. The experiment focuses on the phenomenon of quantum theory known as ‘non-locality’, which concerns communication between particles. A pair of protons, for example, associated with one another in a configuration called the singlet state will always have a total angular momentum of zero, as they each have equal and opposite amounts of spin. Just as we have seen in the other experiments, the protons will not collapse their probability wave and ‘decide’ which spin to adopt, until they have been observed. If you measure the spin of one proton, according to quantum theory, the other proton instantly ‘knows’ and adopts the opposite spin. So far so good, we have come to expect this sort of behaviour from particles, so what is the problem with this particular experiment? It is possible, and has been carried out in laboratory tests over a short distance, to split the particles apart and send them in opposite directions and then measure one of them for spin. The instant it is measured, and the spin determined, the other particle adopts the opposite spin. The time interval is zero, the event takes place instantaneously, even though the particles are separated, and theoretically would still do so even if they were separated by a distance measured in light years. This is what upset Einstein, the implication that particles could communicate at faster than light speed, as it is impossible for this to happen according to Einstein’s theory of relativity. At the time this thought experiment was proposed, in the early 1930’s, just about the time of Schrödinger’s cat-in-the-box thought experiment, it was not actually possible to physically carry out the experiment. Einstein did not live to see it turned into practical reality, which is probably just as well in light of the results produced. This experiment has now actually been carried out over a distance of 10 kilometres and confirmed as correct. Something here is taking place at faster than light speed, although exactly what seems to be a matter of some debate. Regrettably, due to its very nature, no meaningful communication could be made using such a device. Whether or not it will ever have any useful application remains to be seen, but that is not the point. The point is the experiment has proved Einstein wrong, faster than light speed, at least in the quantum world, is a reality. However, in classical physics – at sizes above that of atoms – relativity still remains unchallenged, nothing has been detected at faster than light speed. One last thing you need to know about quantum theory, and that is Heisenberg’s Uncertainty Principle. Heisenberg said that the electron was a particle, but a particle which yields only limited information. It is possible to specify where an electron is at a given moment, but we cannot then impose on it a specific speed and direction at the setting-off. Or conversely, if you fire it at a known speed in a certain direction, then you are unable to specify exactly what its starting-point is – or its end-point. The information that an electron carries is limited in its totally. That is, for instance, its speed and its position fit together in such a way that they are confined by the tolerance of the quantum. What quantum mechanics tell us is that nothing is real and that we cannot say anything about what things are doing when we are not looking at them. In the world of quantum mechanics, the laws of physics that are familiar from the everyday world no longer work. Instead, events are governed by probabilities. Einstein was so disgusted by the whole notion that he made his famous remark, “Quantum mechanics is very impressive. But an inner voice tells me that it is not yet the real thing. The theory produces a good deal but hardly brings us closer to the secrets of the Old One. I am at all events convinced that He does not play dice”. It just does not make any sense, but like it or not, until a theoretical physicist comes up with a theory that incorporates both Quantum Mechanics and Relativity we just have to admit that we do not really know what is going on. However, one thing I am absolutely clear on is that an electron, or photon, doesn’t ‘know’ anything, anymore than a frozen pea does. When you remove a frozen pea from the freezer and place it in a warm room you do not gasp in amazement when it defrosts and ask how did it ‘know’ to defrost. You do not try and trick it into not defrosting by leaving it in the freezer and turning off the freezer. This is of course because we understand the laws of thermodynamics. Particles do not ‘know ‘ anything! It may be possible that we need to develop a new form of logic to be able to describe what is happening at the quantum level. It may be that it is not enough to say that a statement is either true or false, we may have to introduce a three-valued quantum logic which allows the additional status of ‘undecided’. This would mean that a statement that is not true need not be false.